The great things about seasons is that they bring about change. The weather cycles through cold to hot and back again. Sweaters and jeans are traded in for articles of clothing that contain much less fabric. Our favorite shows begin and end, the holidays come and go, the plants and animals even join in, in their own way. Walmart transforms its shelves to stay a holiday ahead throughout the year and our favorite treats appear and disappear. My husband LOVES pumpkin, and being the amazing wife I am, I was looking through Pinterest for recipes that he might enjoy. 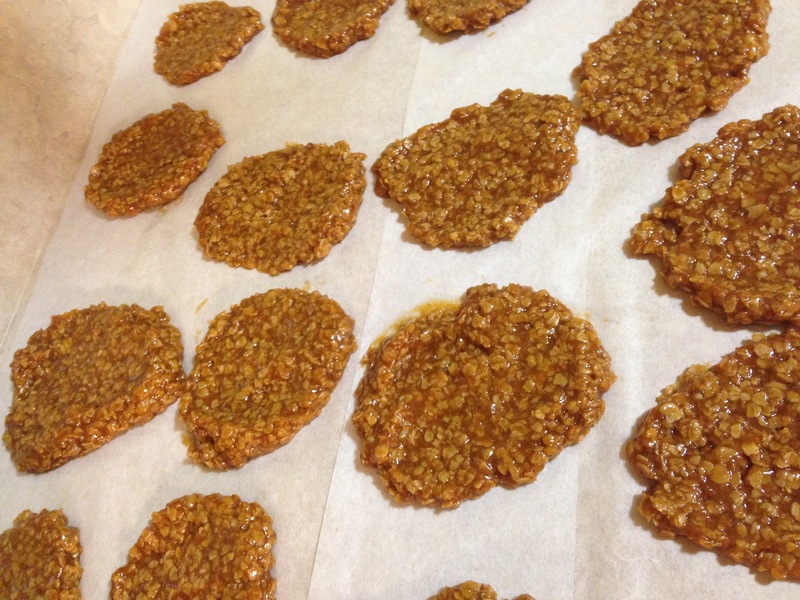 And I found it, THE recipe; Pumpkin Spice No Bake Cookies. They are made from so much delicious good stuff that I actually didn’t mind the pumpkin. As a matter of fact, I liked it! I liked it soooo much that I made more, a lot more. Aside from the enormous amounts of butter and sugar, the secret that makes these so divine is Pumpkin Spice Pudding! You can get the full ingredient list and directions for these cookies at Once A Month Meals. Im gonna just break it down, real simple for you here. 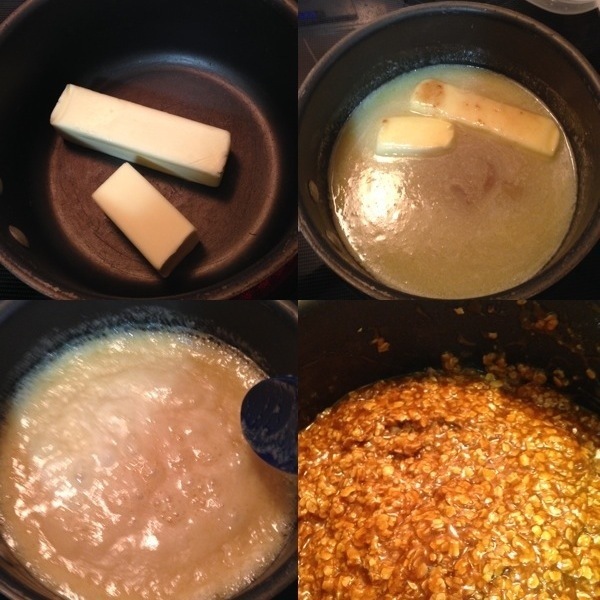 You take sugar, brown sugar, butter and milk and turn it into soup. If you can refrain from grabbing a ladle and lapping it up, let it boil. 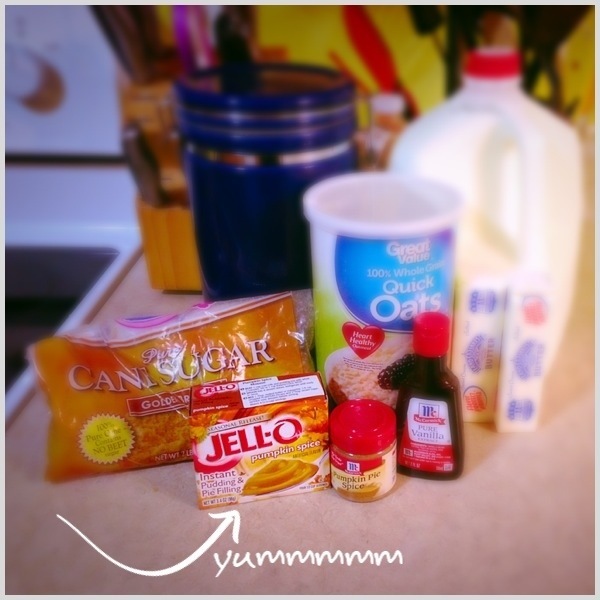 Stir in pudding mix, pumpkin spice (the spice) vanilla and quick oats. Spoon blobs onto wax paper and allow to cool. This step may be difficult as you already have a spoon in your hand, you may be tempted to place scoops directly into your mouth instead of on the wax paper. Once cooled enjoy, and share if you wish, or don’t, I won’t judge. Until you can get there and partake of this gooey goodness yourself here are a few photos to hold you over. Please refrain from licking the computer screen, as it may lead to an awkward conversation between you and those around you. Thanks so much for sharing our recipe!